In fact, the scientific data casts doubt on the effectiveness of ski helmets. We live 3 blocks from the hospital where my son was born. Under hospital policy, walking our newborn home was too deemed dangerous and so we were required to drive him home in a car instead. 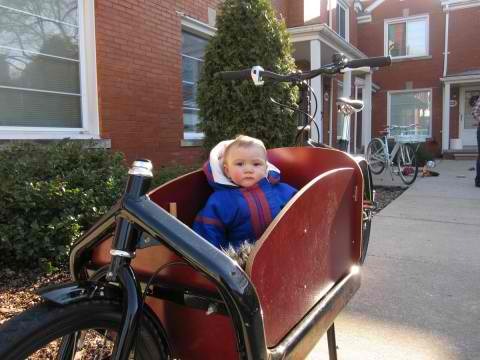 And if you think that is crazy, consider that many States do not permit parents to bring toddlers on bicycles either. Because, you know, cars and SUVs are sooo much safer. The fearmongers are now going after that very British tradition: biscuits and tea! It beat the cookie to top a table of 15 generic types of biscuits whose potential dangers were calculated by The Biscuit Injury Threat Evaluation. No, the study has not been peer-reviewed, and yes, it is mostly likely a joke. But will that prevent the politicians from requiring warning labels, or even mandatory helmet law for biscuit-eating minors? On billboards, buses, and bus stops, Californians have been inundated with fear-mongering advertisements, like the one shown below. They come from the First-Five which collects 50-cent per pack of cigarettes to fund various child welfare programs. 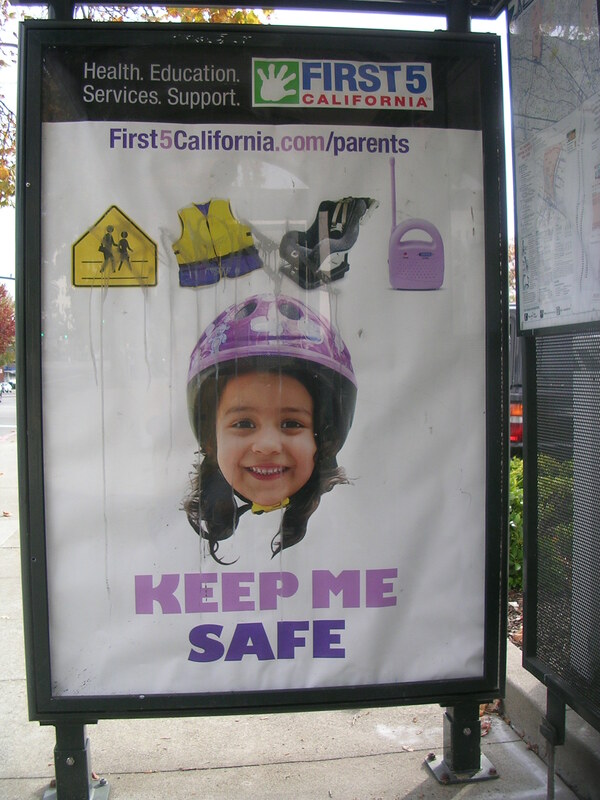 Children wearing bike helmets are featured prominently in the billboards. 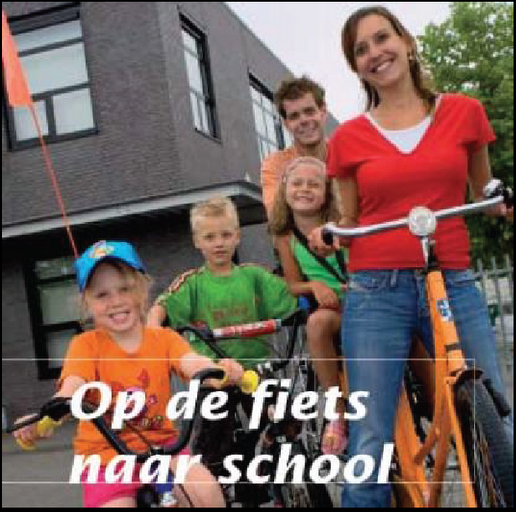 Rather than promote cycling as a healthy activity for youngsters, the image gives negative portrayal of bikes. Surely any activity that involves crash helmets can’t be good for kids, right? Of course, the statistics say otherwise. Helmets are now known to be completely worthless as crash protection, and their widespread promotion are attributed with decline in popularity of cycling. Compare California’s public service advertisement with those found in Holland — where bicycling is heavily promoted as fun, healthful activity. No helmets are ever seen on posters or TV advertisements. Indeed, Dutch planners actively discourage the promotion of bike helmets as a safety measure. By far, the greatest risk to kids isn’t drowning, walking to school, or riding bikes (as implied by the posters), but childhood obesity. Traffic engineering and suburban development have shrunk the environment available to kids. As a result, incidence of childhood diabetes and heart disease have exploded in the US largely due to kids’ sedentary behavior — and fears parents have about allowing their kids out of the house to ride bikes.